Is there a better alternative to Street Lighting Calc 2? 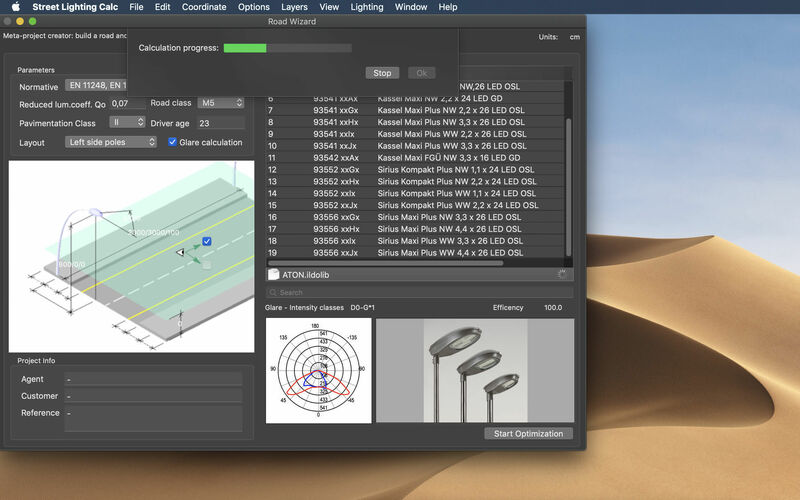 Is Street Lighting Calc 2 really the best app in Designs and Graphics category? 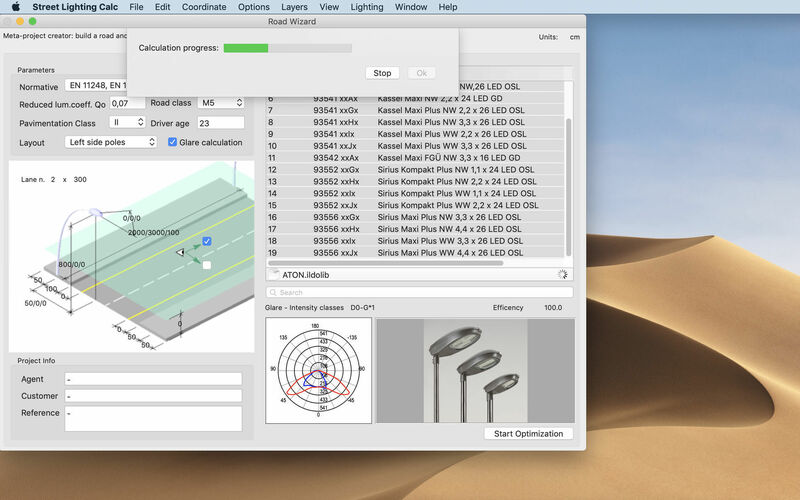 Will Street Lighting Calc 2 work good on macOS 10.13.4? 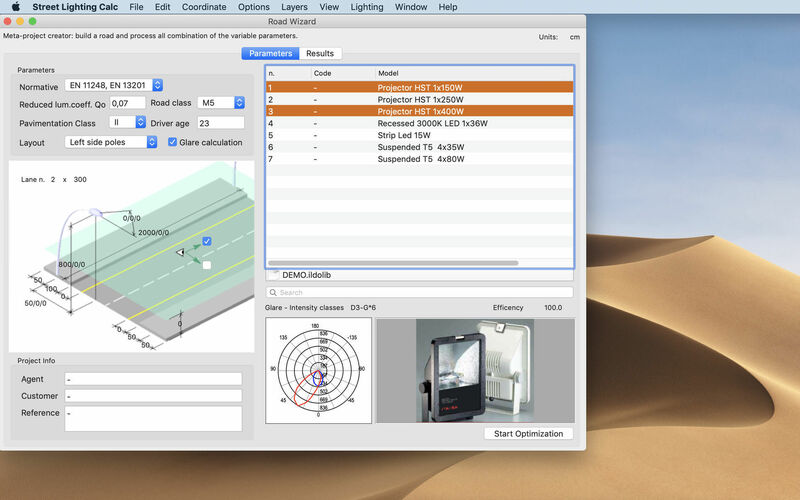 Street Lighting Calc 2 is a native macOS CAD application specialized to perform lighting calculations for roads. With Street Lighting Calc 2 you don’t need to be a specialist. Fill the form and in few seconds you’ll be able to prepare a complete and professional lighting plan and report, formatted following your personal style. You can obtain fast answers about the best fixture and/or road configuration in few steps through an optimization procedure. 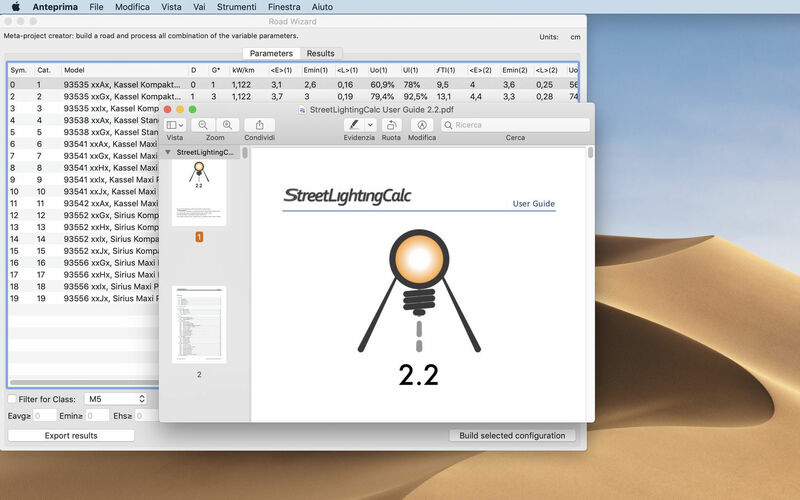 Street Lighting Calc 2 needs a review. Be the first to review this app and get the discussion started! Street Lighting Calc 2 needs a rating. Be the first to rate this app and get the discussion started! You can obtain a printable report of your road with pictures, list of used elements, their characteristic, results and cost of realization. You will be amazed on how easy is to create a full light plan. 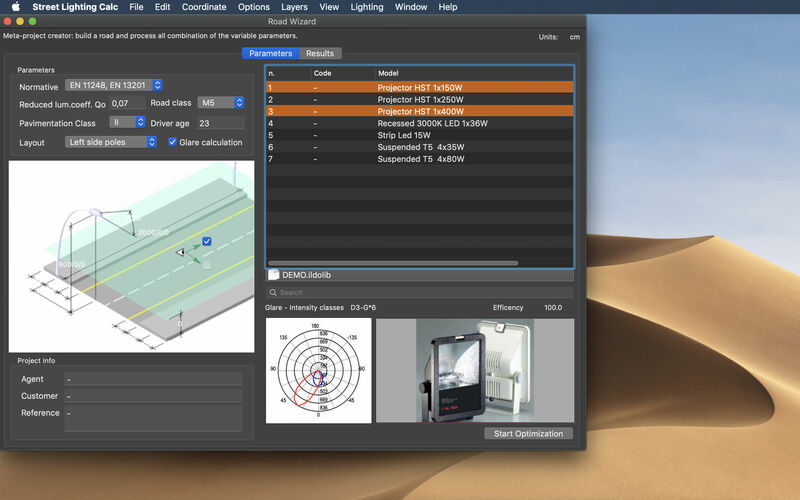 Imports third part light sources IESNA LM-63 (American standards), EULUMDAT (European standards) and can even import DXF drawings data files to create photometries!